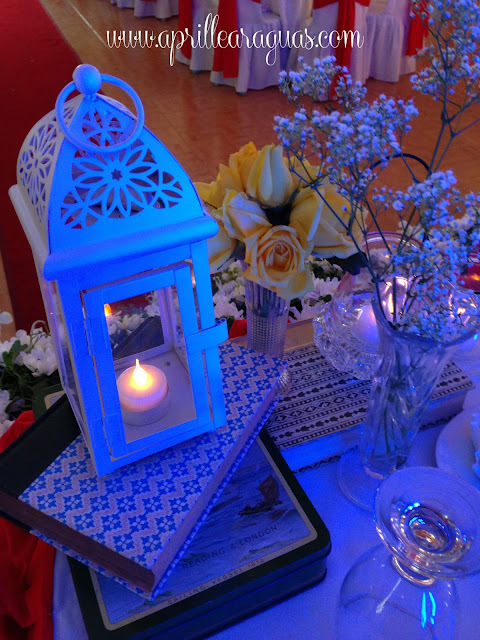 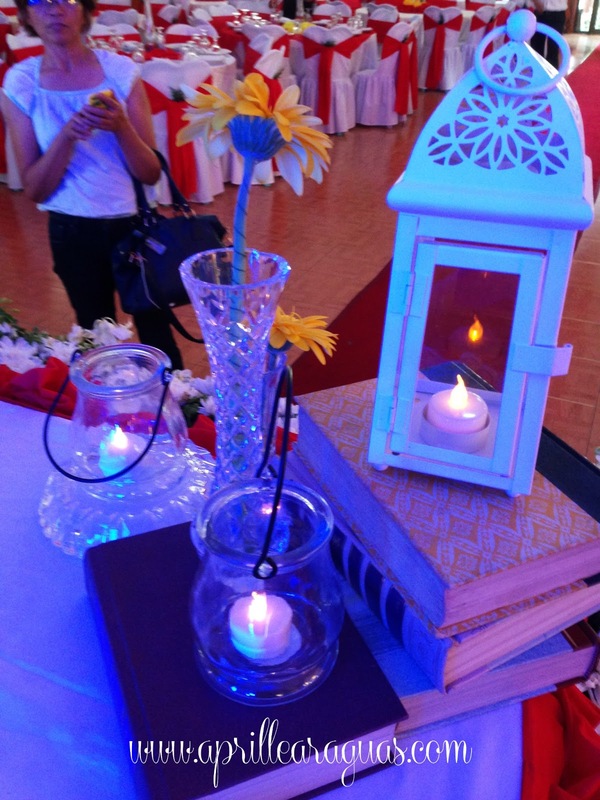 It was our first time to do the wedding entourage and reception styling. 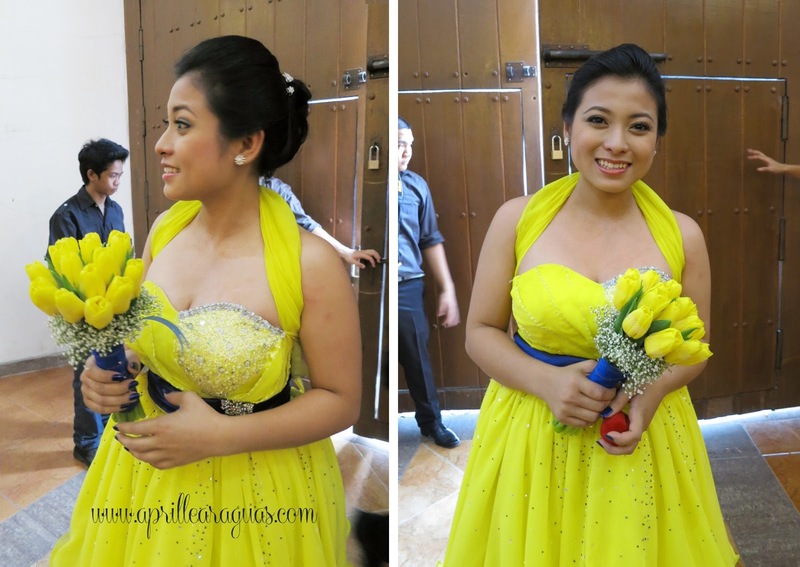 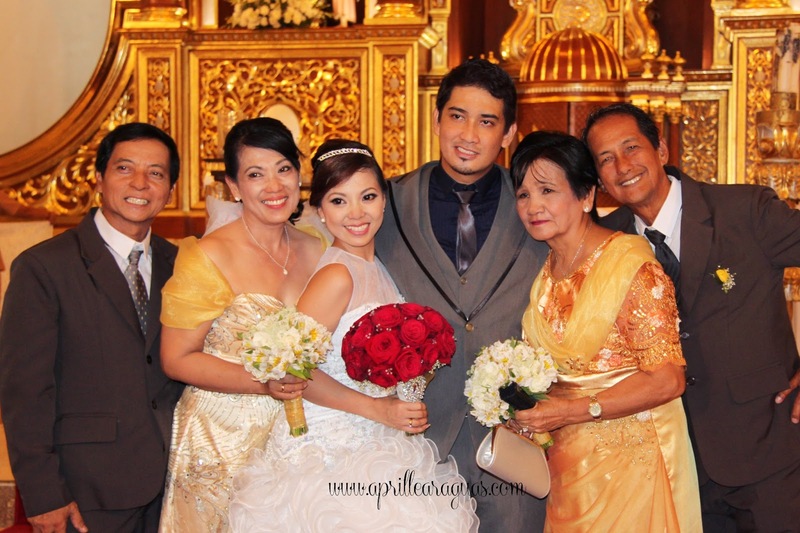 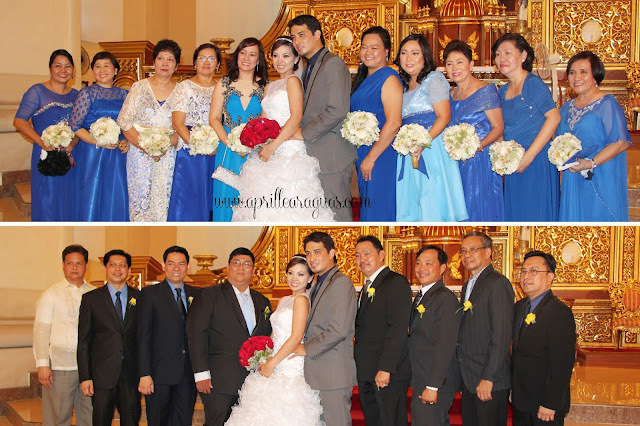 We met the bride Irene last year, through, Tita Tess Pantastico, who happens to be her aunt and wedding caterer. We were immediately charmed by this lovely bride. 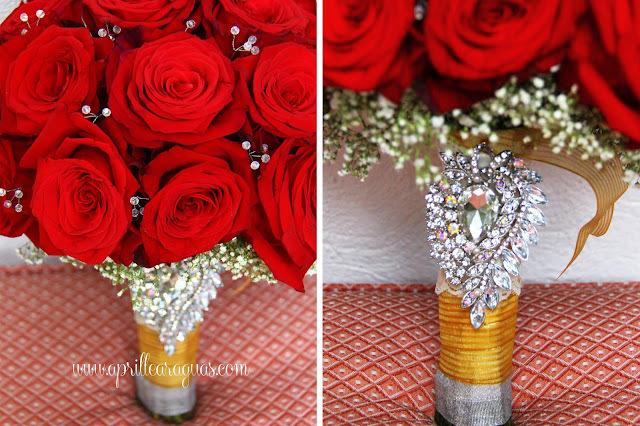 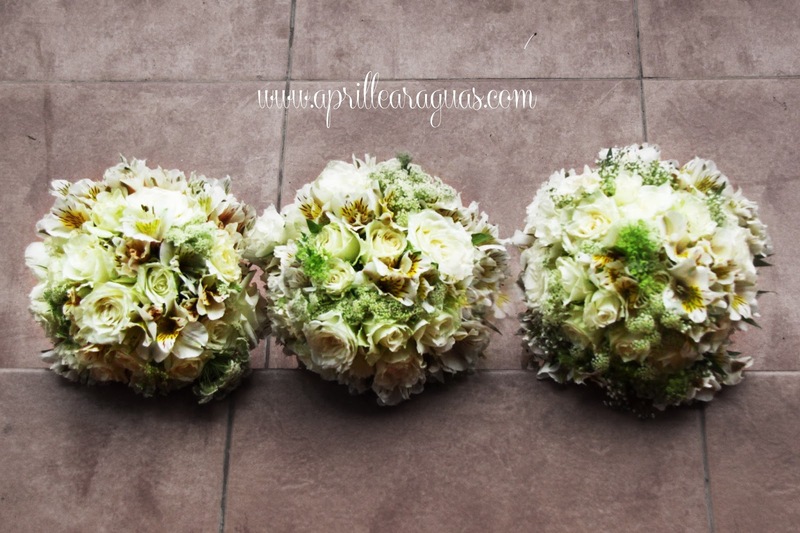 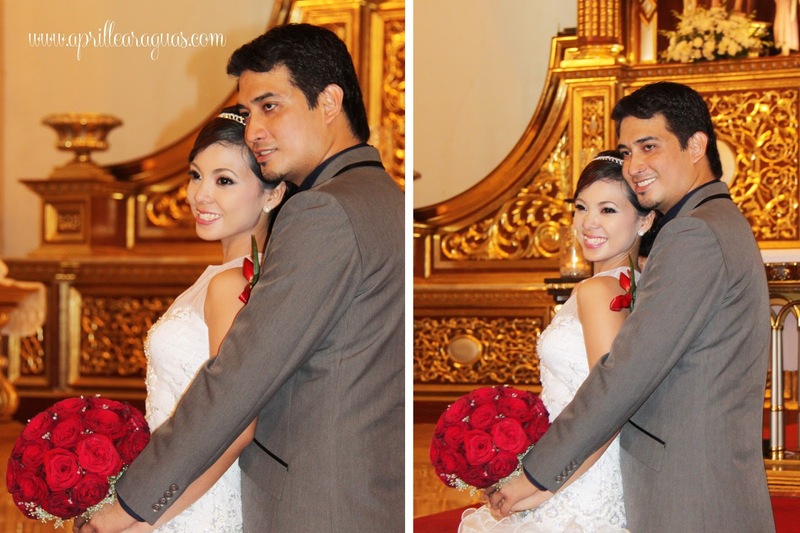 Irene wanted a Modern Romantic theme for her wedding and had a clear vision of what she wants. 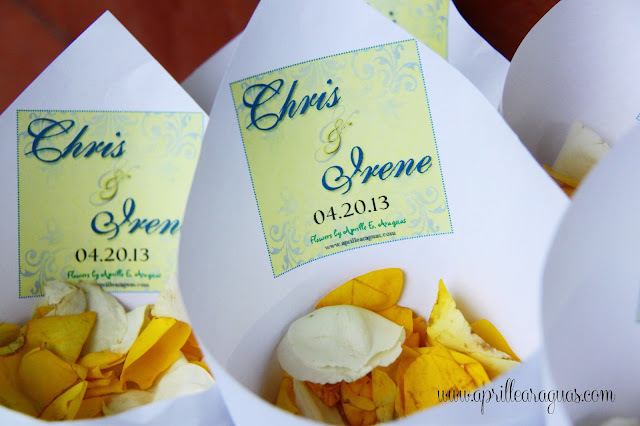 She thought of practically every detail and display on her wedding day from the awesome invitations to their couple portraits carefully framed and displayed at the reception. 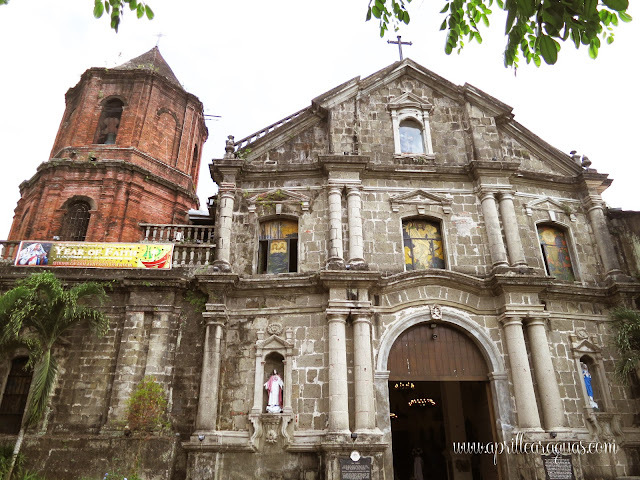 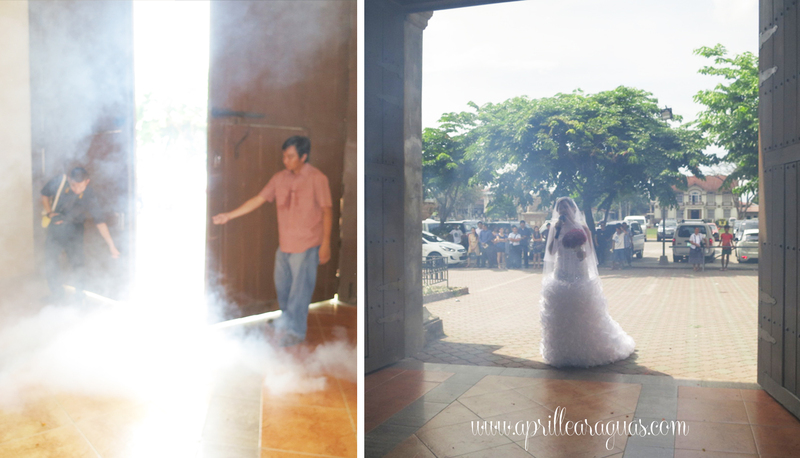 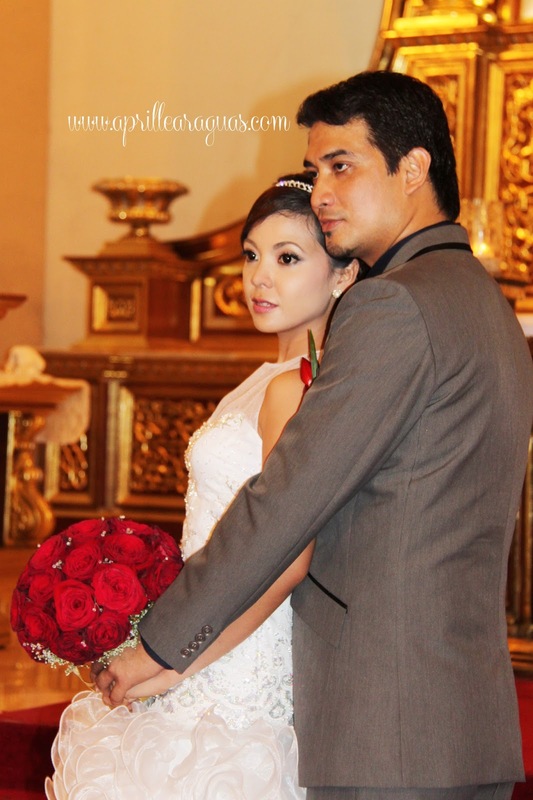 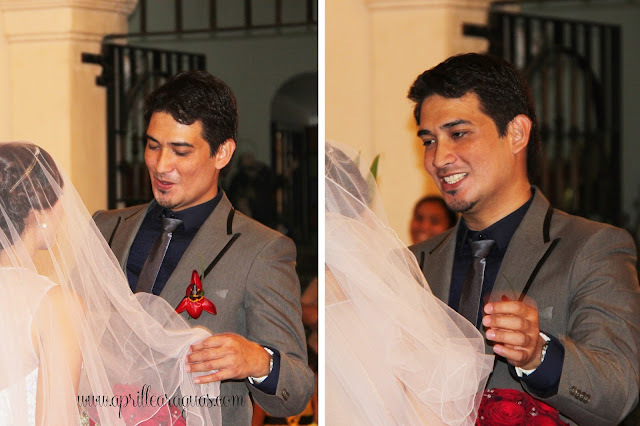 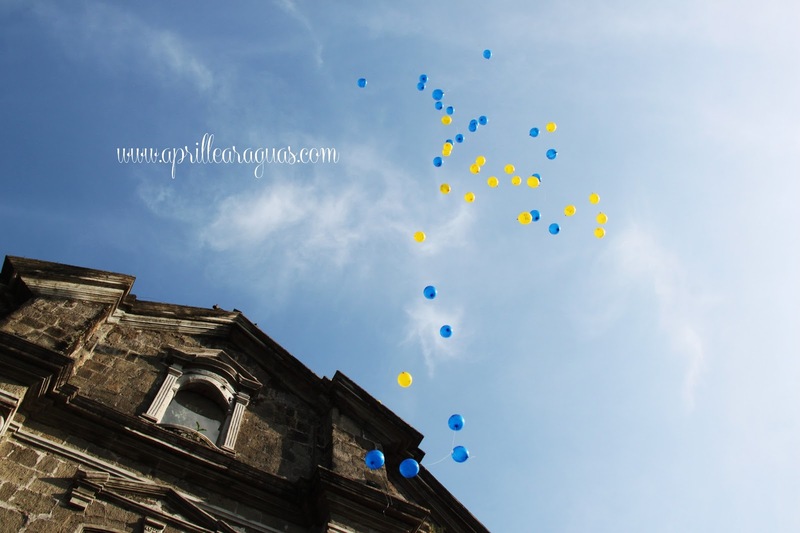 The couple got married at this lovely church at the Shrine of San Antonio de Padua located in Pila Laguna. 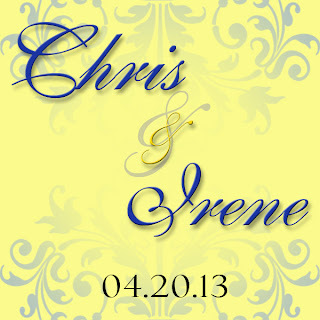 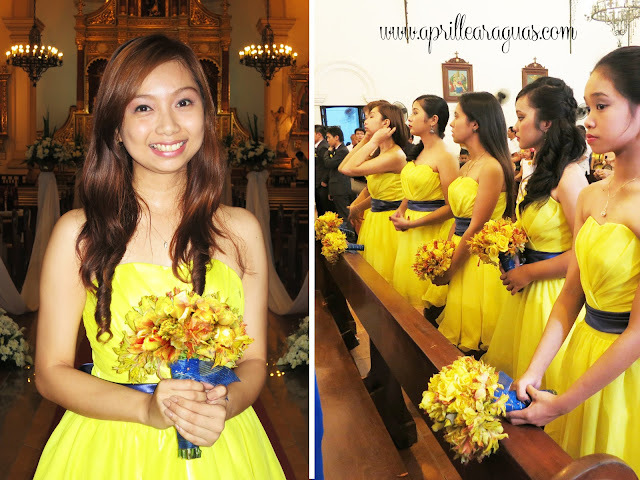 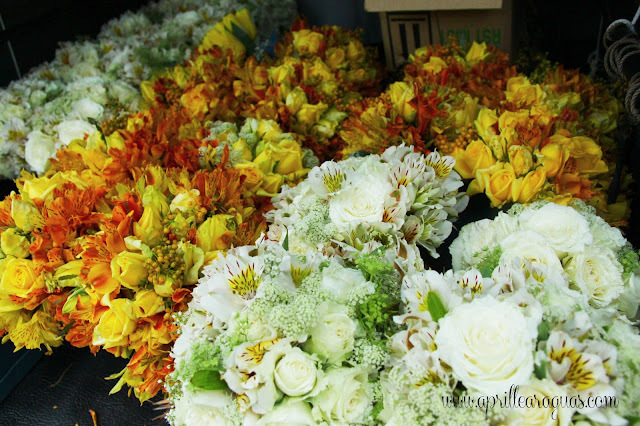 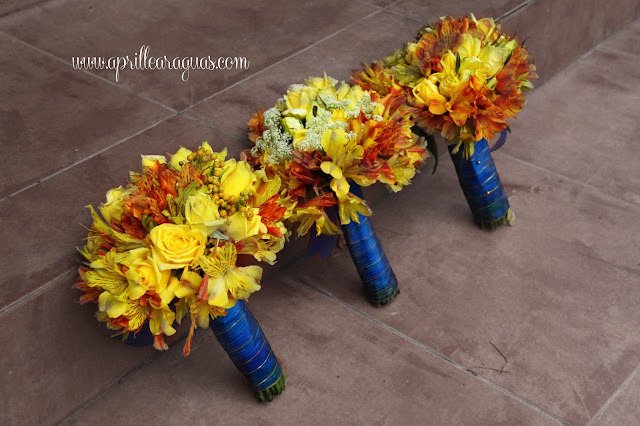 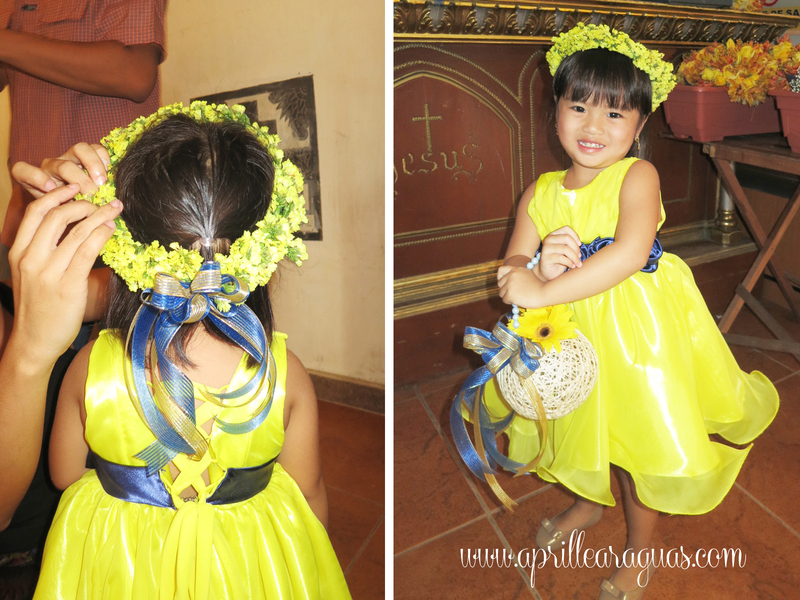 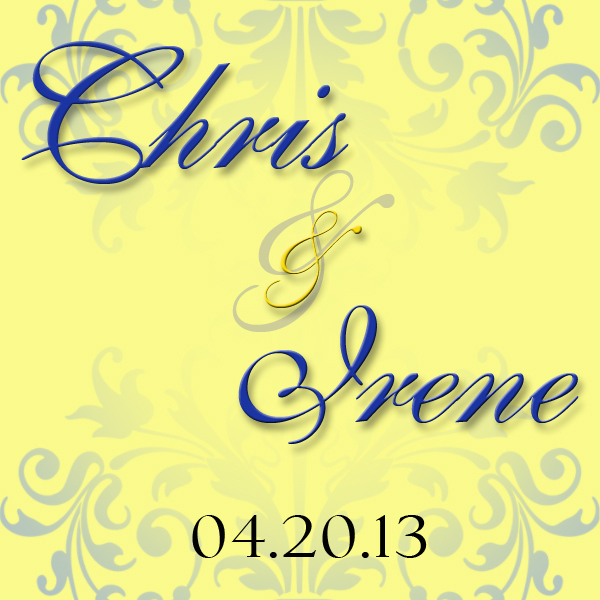 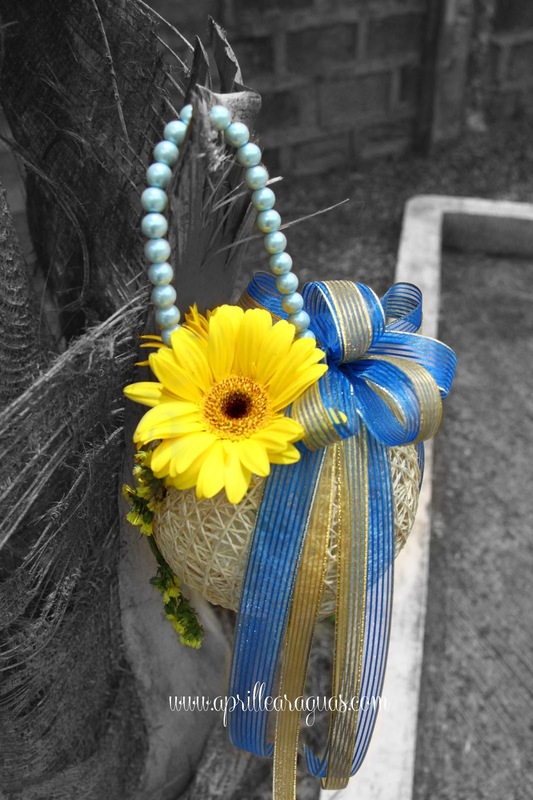 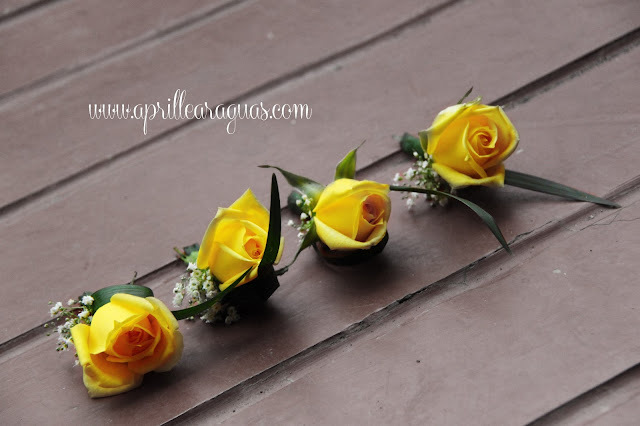 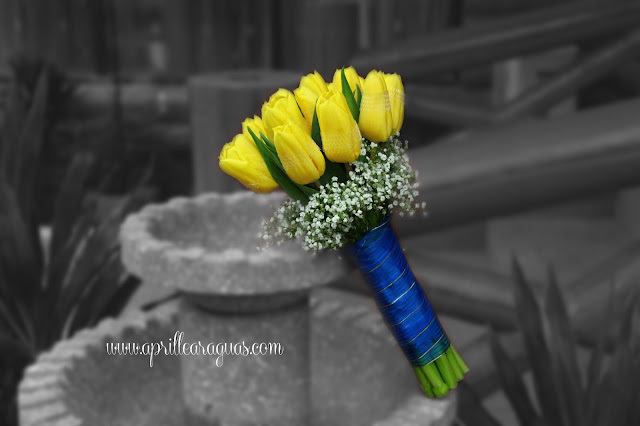 Following the Modern Romantic theme, the colors to be followed are shades of yellow and blue. 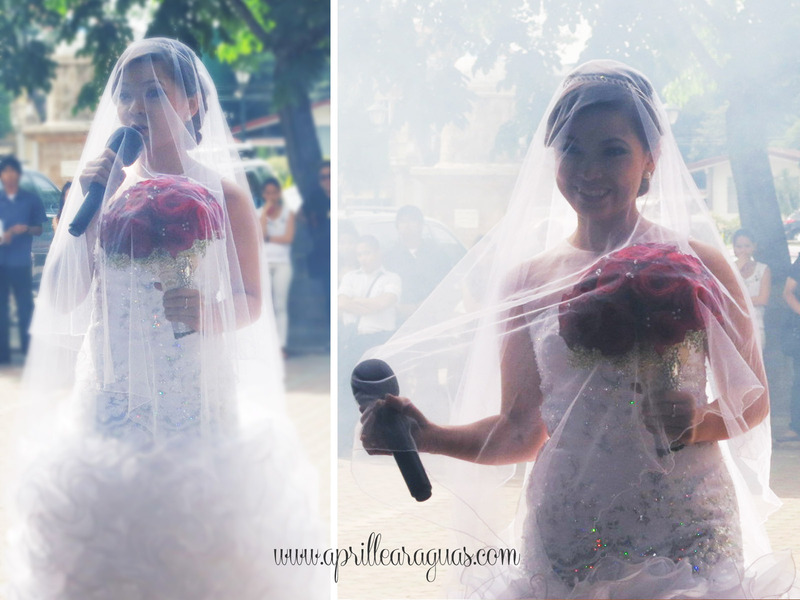 As mentioned in this entry, the first time we met Irene, we were immediately charmed by this bubbly bride. We instantly hit it off as she happily shared her stories from the proposal, to her other wedding suppliers and what her dress would look like. 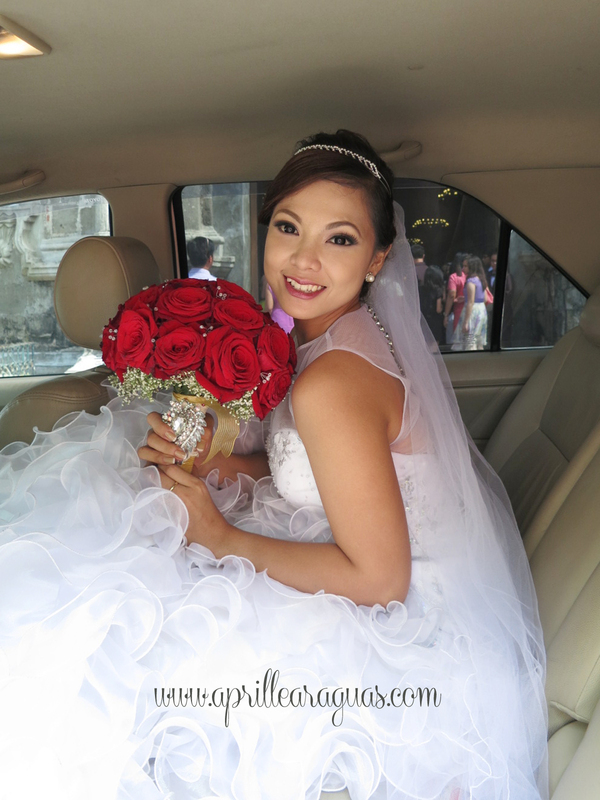 And on her wedding day, the happy bride gamely posed for the camera few minutes before stepping out of the bridal car to walk down the aisle. 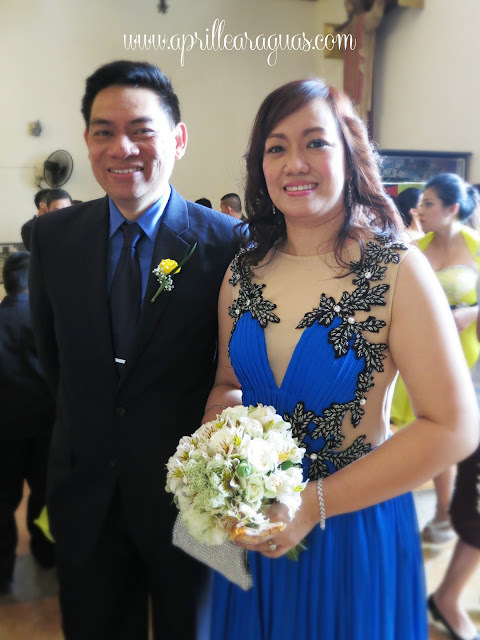 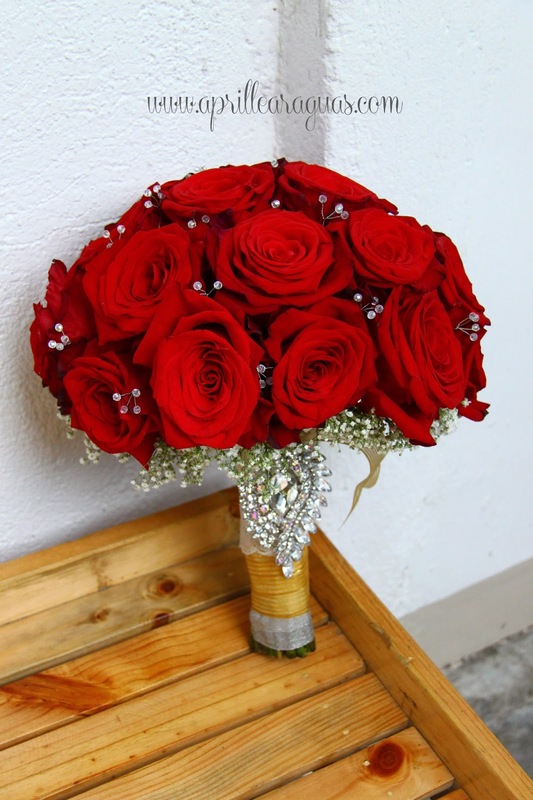 On her wedding day, as soon as the gates of the church opened, Irene walked down the aisle while singing the first stanza of her wedding March. 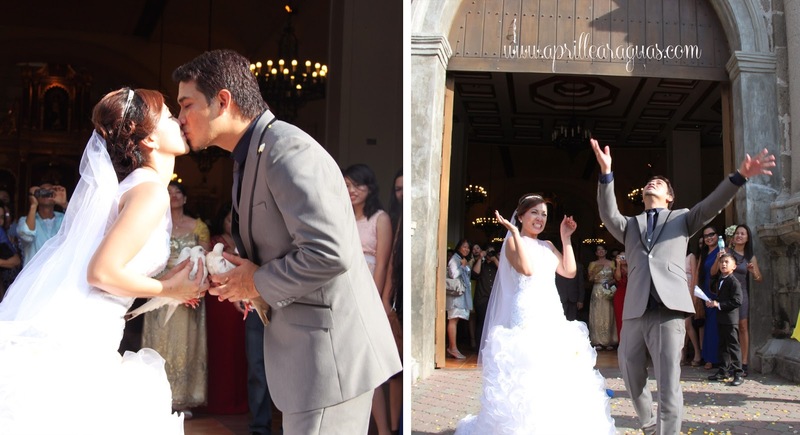 It was such a fun wedding, as the couple gamely posed for the camera and did a "dance dip" kissing pose, much to the delight of everyone who was happily taking photos from their cameras. 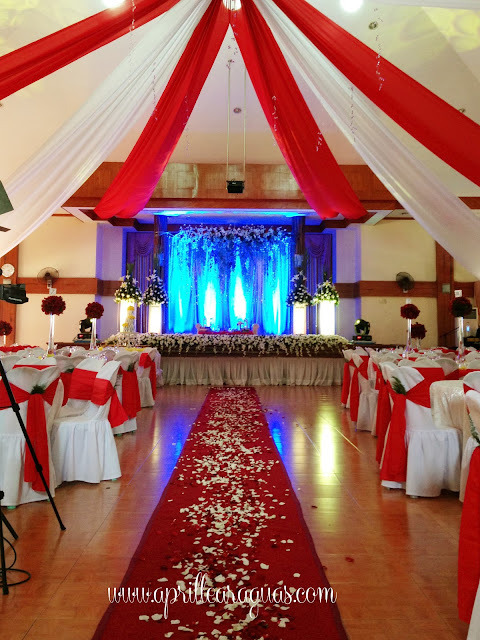 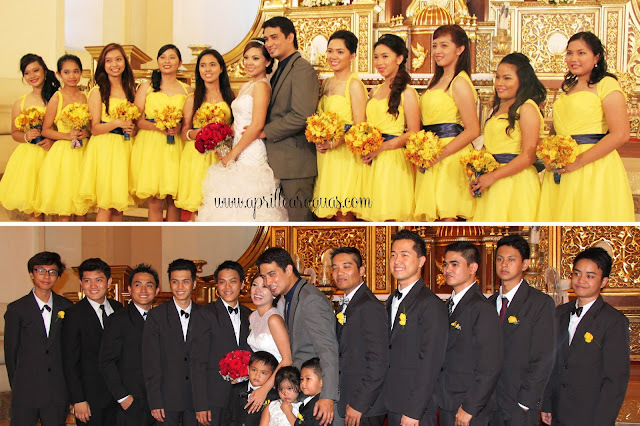 The reception was held at the Samland Resort in Calauan, Laguna. 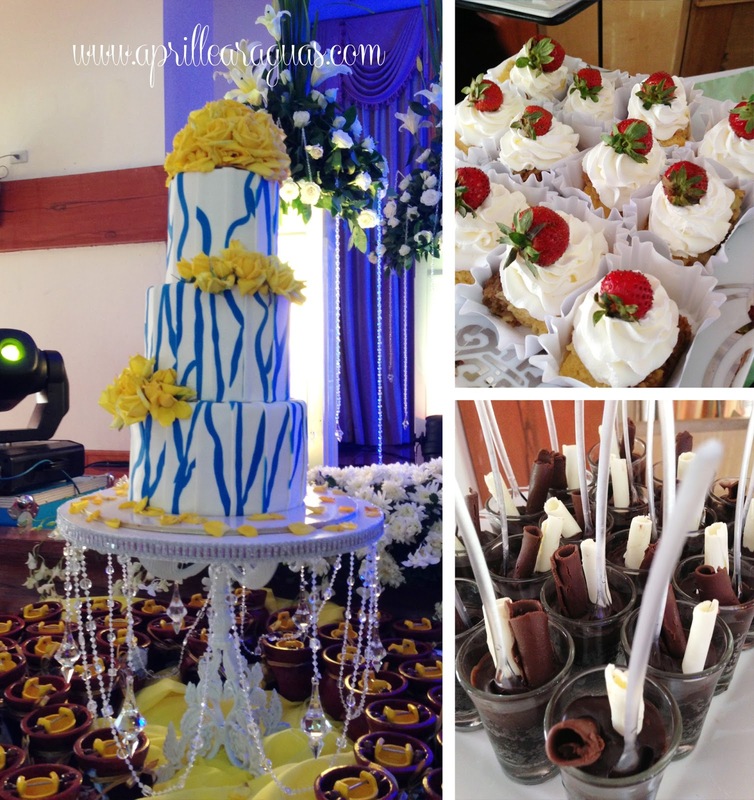 Cake and Desserts by Giselle of Glam Confections. The stage was designed by Aprille Araguas. 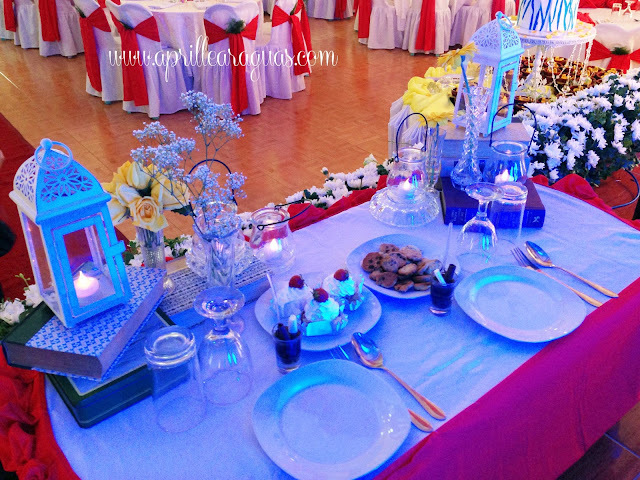 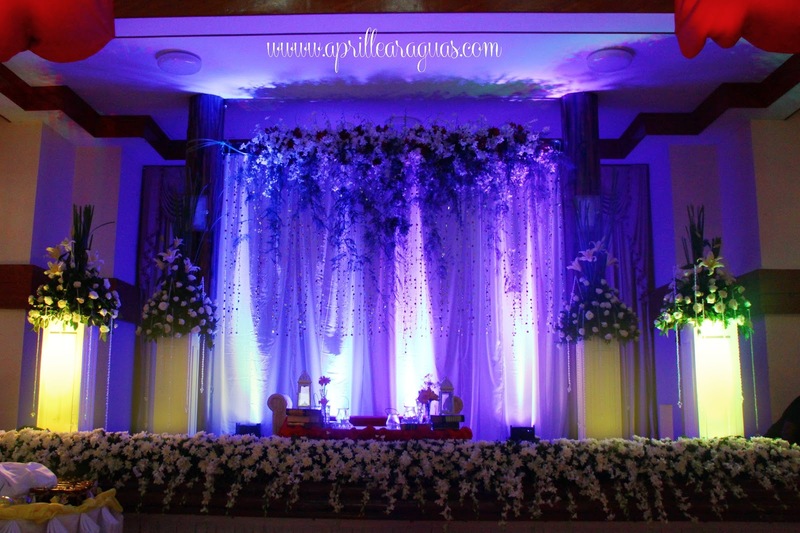 The over-all reception design was a collaboration of Aprille Araguas and the bride's aunt (and caterer) Tita Tess Pantastico.